Humans aren’t the only people in the magimundi — many cryptids can also be found here! “Cryptid” is the formal name for magical creatures. They may be rumored to exist by mundanes (such as gremlins or mermaids), but no substantial evidence exist to non-magi. All cryptids have some magical aspect to them, and range from the benign (the gillygaloo – a cubic chicken) to the huge and powerful (the thunderbird). The Magimundi world is filled with these creatures, and many of them will appear in game at New World Magischola. 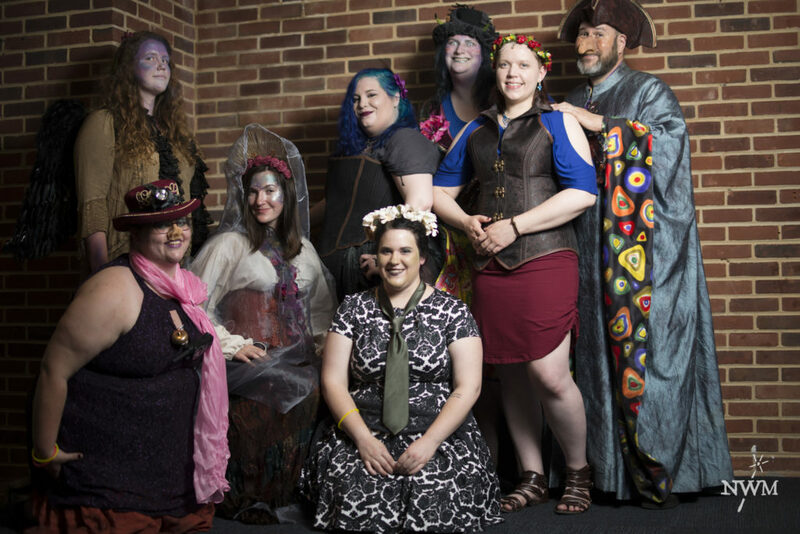 Learn Larp, Inc has an extensive library of costumes and props and professional makeup artists, who will bring cryptids to life before your eyes! Whether it’s a mischievous gremlin, a frightening revenant, or a friendly forest faun, you’ll encounter them during your weekend adventure at Magischola! Notable cryptids include Corruptors, Miroven, loup-garoux, and many more.